Series 1: Courage was based off the female heroine Joan of Arc; Series 2: Wisdom another collection of seven 4” articulated action figures. Who these new series of figures will be based off of will be revealed at the 2016 NY Toy Fair. 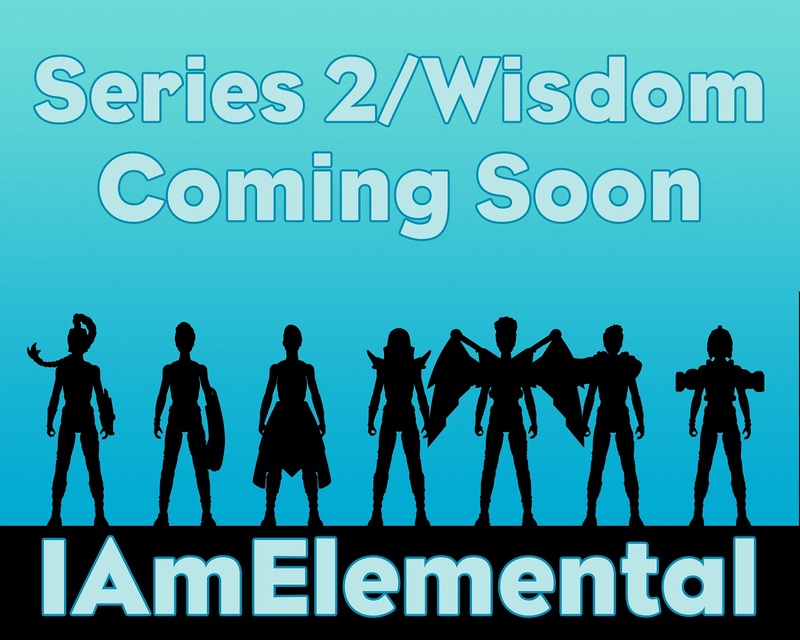 Series 2 continues in IAmElemental’s tradition of providing a strong, healthy female figure, drawing inspiration from ancient warriors as well as modern superheroes. IAmElemental will begin accepting pre-orders at www.IAmElemental.com for Series 2/Wisdom on February 12, 2016, with shipping anticipated in August 2016 to pre-order customers, specialty and online toy retailers. Individual figures will be available at MSRP $10.99 and complete sets at MSRP $69.99.